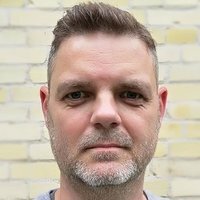 The Problem With Security Systems In The Retail Segment. 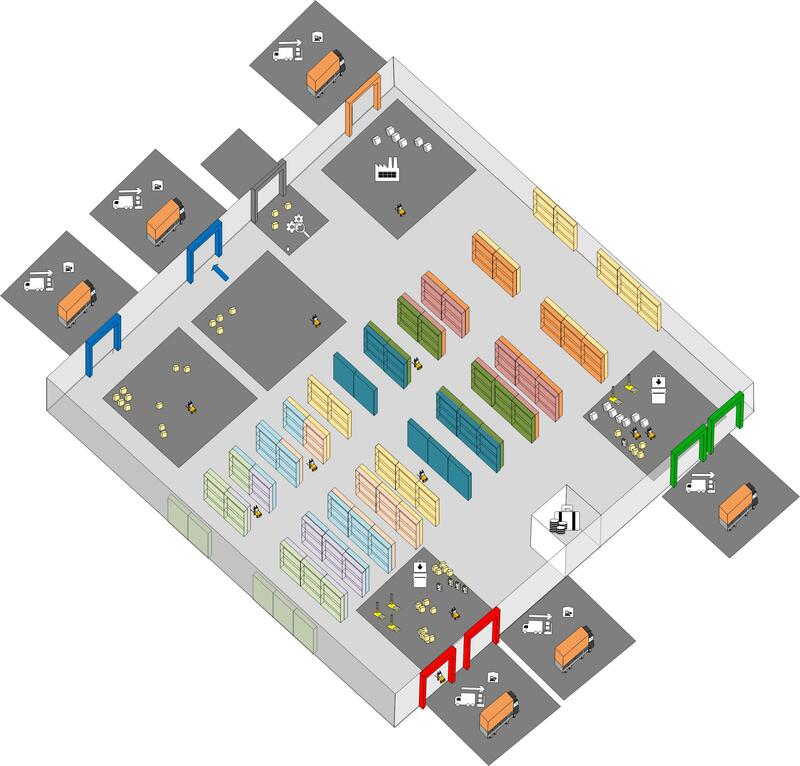 Dear friends, IPVMteam, Mr. Honovich, I will try to present my point of view of retail synergy between the Warehouse and Shopping Center. When you are watching demonstration video or presentation the company is focused on demontration of new functions and shows this functions apart or using a few cameras. I was trying to imagine an example which will help you to show this mechanism and his problems. 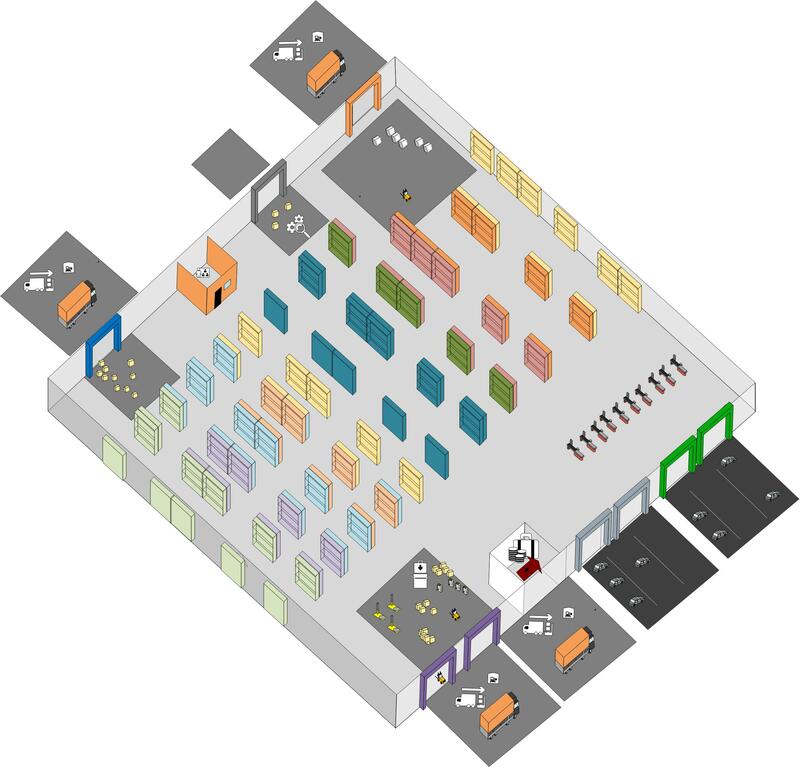 Yes, the retail segment is one of the most complicated parts for the security industry. You can’t use the access control or some analythic modules. You don’t have such a big budget as you have when you making airport security or other huge objects. But it’s interesting. And in spite of all protective barriers, chips and other tricks it retail still remain one of the biggest problems. I have tried to elimenate a lot of the parts of the retail chain. Your team consits of 11 engineers, developers and a support manager with extensive experience working for security integrators, organizations and manufacturers. You have done the most in-depth expert reports on security technology, the most in-depth expert reports on security technology, the only independent security and video surveillance testing service providing critical analysis and education on leading products etc. Why I am asking, because the retail is one of the biggest parts of the global economy and it’s very vulnarable. I think each of you have a lot of experience in this part of indusrty. So. Let’s imagine a imagine a new retail company and try to build the security system using three famous companies. The retail company consists of 2 units (Warehouse and Shopping Center) let’s start building the security system using the Genetec, Milestone and Hikvision. Warehouse and Shopping Center are almost identical parts of the company. They are almost similar in most sections. The same principal - the product arrives, checks, sorts and waits for sale / shipment. But the principals of the video surveillance differs. At the warehouse it’s a restricted area. You will have to search among your workers. On the one hand you don’t have so much people in the warehouse as if you has in the Shopping Center, but on the other you have to do a lot of investigation to gain a succes. The Comercial Center is a real headache, you have hundreds of different scenarios, it may be theft, fraud, hacking, vandalism, argument, deception, loss. And you almost the entire territory of the mall is open to buyers. The key to a successful business is a well-established logistics and retail network working as one unique unit. The similar principle exists in security systems. You can find a lot of security companies which name their products or cooperation of two or three products and name this SYNERGY. The same cooperate work exists in the security. It is self monitoring the status of the system, access control functions, alarms and restrictions, plan manager, LPR, POSintegration, Live / Archive viewing, video wal and others. What we should know about the objects of the company? Place for damaged or defective goods. 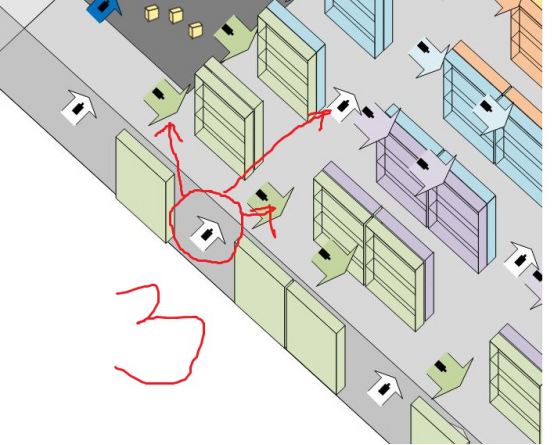 The order of sections in the warehouse and in the Shopping Center is the same. 10 sections and 5 groups of goods. Next step. We need to identify our vulnerable points. For example this company has 29 vulnerablel zones. We need to create the matrix of the system. The Shopping Center consists of 128 Cameras. All these 3 VMS have a lot of functions which can help to build very informative video wall or operator’s work place. I like that any information you want you can send to the video wall, or you can send your investigation as a report. You can set different configs, you can preconfig zoom presets. To create a new tile pattern tooks you a few time. You can choose the location of tiles number and display the information you need. When you need changes, you can always quickly rebuild the matrix. All the systems has Search mode, Smart Search, Event Search, Seuence Search. You can area crossing detector. You can use tha plan manager. And you can defend the peremetr using the alarm triggering, and the operator can visually track the intruder as he moves across the territory or through the building or navigate him between buildings. Operator can monitor multiple entires at the same time within the map. Operator can efficently investigate by going through poayback video without leaving the map. But the real picture of this function that you can use it only in restricted areas or only when there is no working staff and customers. And using all these systems you can’t limit the acces and investigate them because between Video System and Access Controll exist synergy. As the result. We have done using the access control checkpoints and peremetral defense. And our warehouse still have issues in it’s defense: Problem zones. ( Light Bubles, Home electronic, Set tools, Air tools and plumbing parts are our vlnerable groups of goods) In my opinion you have to use videoanalythics which will send you alarm triggers about motion detect in these problem zones. Tracking persons in a real time and archive. Milestone and Genetec has their tracking functions which allow the operator to switch across the cameras. 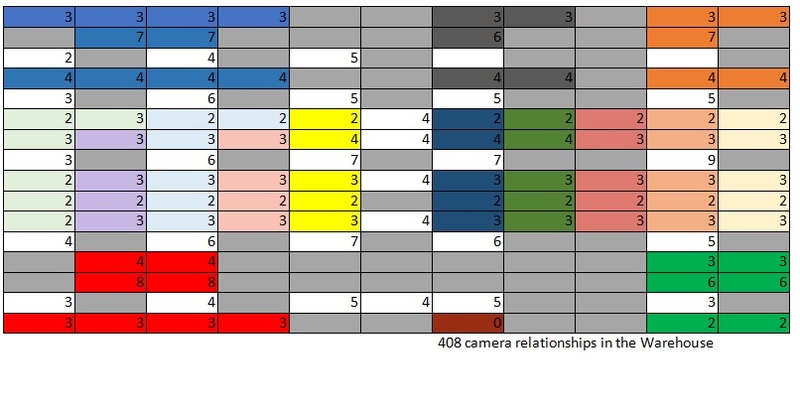 You can create tile patterns that will narrow down the list of cameras. But you will have to remember whcih pattern your camera is located. Also you may use the camera structure folder. Here is the simple example of the tracking relations. But what abou corridor cameras? There can be 9 or even 12 connections. You will be unable to use this tracking in the real-time. Yes you can follow the person using a lot of small tile or smart or video wall or different preconfigs. If Genetec and Milestone has this links and rectangles yes - Hik’s mastepiece do not have such function I have asked their expert - he told me that he don’t know about such function. 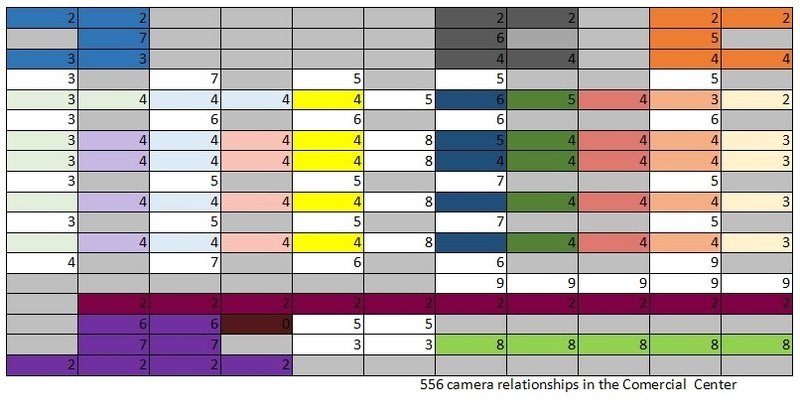 So, The Shopping Center consists of 128 cameras and you have at least 556 relations between cameras, it’s true to say that you will not use some of them. But if you don’t do this link - you will spend a lot of time finding the suitable camera. And This company has 1000 links. And you can’t remember all the camera nambers to search them by keywords, it’s impossible to use the map preview - you waste moments, 10 or 5 seconds per camera. POS integration. I can find out a lot of information about that … our company has years and years of practising in building the retail security systems. And yes, you cant find any information about any transaction you need and sort it by the time, by discount card you can do any report you want. And all this reports can imidiatly links with the video information. And in the end of my message. I would like to Thank you for your attention. I don’t won’t to waste your time so I have tried to make it short and to pay attention on the problems. I don’t want to spoil the mood with uncomfortable questions. But, when the vender presents a new product he tries to present his product as a HUGE step in technology. For example when you are watching video about phone - they are making the synthetical tests and tell you that this phone makes this task fater in 0,005 second than the second etc.But what about Security systems? What about retail? You have to make a huge efort if you want to track the person. But it should be easy. It should be routine work. The security systems are growing and the industry is improving. Why I have used these 3 companies as an example? Yes as to logistics and warehouse the Geutebruck’s track and trace function is very very interesting, but I couldn’t find out about their POS integration. But I am going to read their G-Core guide. I like how BriefCam works. But we need all the parts of the security system. Because they have all the parts to become make your retail object UNIQUE. But in facet we have that about reports and facts - you have synergy, it is almost ideal. But in a real time they have to work. I don't want to say negative words to these comapanies. Their products are very very sofisticated and I have no any right to criticize them. All that I want to explain the point of view. *** *****/*****/******* *** * remnant **** *** ****** matrix ****, *** * totally ***** **** ******** a ****** ******* * shopping ****** (** ********* any ********) ** * lot ****** **** ** needs ** ** (****, everything ** ****** ********* in *******, *** **** damn ****** *** *** camera * ****?). **'* **** * ***** since *'** **** **** feature ***** ****** - so * ***'* **** if **'* ***** *****. *** *********** *** ** very ****-********* ******* ********* stores **** ********* *******, and **** ******* **** have *** **** ***** can **** * ****** different ************* **** ***'* easily ** ****** ****. As ** *******, * worked ** * **** large ****** *** ****** and **** ******'* ***** splitting *** *******-*****, ** we *** ** **** into *** ********** *******. This **** ****** ** work ** **, *** if **** **** ****** to ****** *** ****** of *** ******* (*** or ****** * ******), we'd **** ** **-***** the ****. *************, ******, * ***** the ******* ** **** most ***' (** ** least *** *** ****) try ** ** * one-size **** *** (***** means ** *****'* ****** fit ******). *'* **** there's ** *********** *** a ****** **** ***** bespoke ******* **** **** a ******* ******** ** their *****, **. * system **** **** ** "everything". ***, * ********* **** POS *********** *** ** very ****-*********. *** *** VMS's *** ********* ** very *************. *** ** was **** **** ** match *** ***** *********** and ***********.  *** **** have ** ******* ******, add *** ********* ... I ********** **** ***** company **** ** ****** the ******* ** *** technologies *** ** *** wants ** ****** ** their ********. **** **** ******* *** explained. ******* ** **** LinkIn ******* ** ******* you *** **** *** construction **** ** *** house. *** *** ***** a ****** ***** ********? Also **** *********** *** you ****** ** **** by **** ****? * ***** **** *** should ***** *** ******** any *********** *******. *** it ** ******. *** example ** *** ***** the ****** ** ******** and *** ****** ** grossery ****** ** *** city ** **** ** 1 ** ****. *** I **** **** ** an ******* **** ********* - ******* *** ***'* know *** ********* * use. *** *** *** better ************ * *** to **** **** ******* and ***** **** ******. First * *** ******** to **** *** *****'* product ******* *********, *** I ******'* **** *** information ***** *** *********** about *** ***********. *** before * ********** **** I **** **** ***** VCA ******. **** *********** I ** ******* ** gain? * ** ****** to ********** *** **** tracking *** *** ********* are ** **********. *** example ** **** ******* Security ****** *** *** have ******* ** ***** the ****** ***** **** program. *** *** ** excelent ****** ******* *** video ****** ******* *** you **** **** **** tracking *** *** *** POS ******. **'* ********** that * ** * person **** ** **** to ******* *** ***** to *** ******, *** it ** ***** ******** you **** **** ** make **** ******* ** macros (***** * ***'* remember *** ***** ****) that * ****** ***** easily *** ******* ****** the ********** ****** ****** the ***+ ******* *** it ** ***** ****** to ******** *******'* *** function *** *** *** person **** ** **** to *******. ***** ********* ways ** ** **** function **** ***********, **** to ***. *** **** haven't **** **. *** **** *** ********** of *** ****** ** cameras, *** ******** **** only *** *****. **, *'** **** ** this ****** **** *** exist ** *** *** top ** ** **** and **** * *** fresh ****** **** **** is * **** ******...*** however *** ******** ******* is **** *****(******* ** the ***). ***'* ******** *** ******* then ************* ***** ** scale. *. *** ******* ******** is **' * **' there ** **** * loading **** ****, * rear ****** **** *** a ****** ******* **** at *** ***** ********. *. ***'* **** **** video ******** *********, *** now. *** ***** ******** has * ******* ****** say *** **** *** with * **** ***** bullet *******. *** *** incoming *** *** *** exiting *********. *********** * cameras *** * ******* imagers. *. **** **** ***** our ** ********** ******* (facial ***********/**********). *** ***'* get ** *** ******** and **** *** **** is ***** ** **** the **** ** *** building. ******** * *** ****: The **** (***** ******** Management ******) **** *** these * ******* ******* to ****** ***** ****** that ******** **** *** entry *****(* ****** ****** the *****). **** **** is ******** *** **** given * ****** ****(** number) *** ****, ***** or *****. **** ********** recorded ** ****** ** a ******** *** ********** with **** *** ***** camera ** *** ******. If ** ****** **** in *** ***** ******* 8am *** *:**** **** and ***** ****** *** be ******** ** * searchable ****** ****** *** video ********, ***** ** ID *** **** ******** name ***** **** * time **** *****. *. *** ** **** entered *** ***** *** there *** ** **** cameras ** ****** ** capture *** ** *** vulnerable *****/******/*****. *** ****** is ******* ***** ***** they ** *** ** corelated ** * *** down ***** **** *** VAMS *** **** * timestamped *****(***** ****** ****) that **** *** ***** person ****, *** **** there **** ** **** section *** ***** ***** like ******* *** ****, two ***, * ****** with *** ****(***** ******** associations ****). *. **'* *** *** many ******* *** ******* down *** *** *** FR ***** *** **** overview ************* ****** ******* and **** ******** ******** views **** ******* **** of ******* ** *** canopy. *. *** **** ******: Let's ***** * ***** wall **** *** * matrix ** *** * panes, ****** **** **** a ****** ** ********* live ******* **** *** facility **** *** **** being *** *********** ***** view ** *** ****** and *** ***** *** overhead ***** ******* ******. The * ***** ** video ***** *** *** end **** ** ***** 4 ****** ** *** time, **** ** **** thumb **** ***** ** select *** ****** ** interest. **** ******** **** remain ** *** **** until ******* ** ****** or *** ****** *** exited *** ********. *. ******* ***** *** 10 ******** ******* *** 20 ** ******* (******* at *' ** **) in **** ***** ******** example. ** ********** ********* with *** ****, ******* each ******** ****** ** you *** **** * live *** ******** ***** and ***** ****/**** ******* histogram ***** **** ******** video *********. *. *** ******* **** entry **** *** ** designed *** **** *** as *** ***** *** incorporating ******** ******* *** also **** ** *** metadata ***** ******. *. ********* *** *********** enrolled ** *********, ********* and ******* * ***** map *****(********* ** ******, when *** *****) *** be **** *****, ******. **. ********* *** **** be ******** **** * unique ****** ******* **** all *****, ***** ** a **** *** ******. Additionally, **** ***. **** ****** out, **** ***** *** become * **** ******* robust **********. **** ***** allow ************ ********* *** temporary ******* ** *** facility ** ****. *** ******* **** **** the **** ** ********* can **, ** ****** that ** **** **** creativity ** ***** *** cases. **. ***, ***** ******** is **** ****** *** perhaps ***** *** ****** with *** ******** ** that ******** ** *******, time **** ***** *** archive *** ****** *** transaction(s). ** *** ** ***** to **** ****? * have ****** ****** **** MangoMate ***, ********, *******, Axis *******, ***** & Sony ******* ** *** even *******(***) ** **** this **** * ***** of ****. * ******* fresh ** ****** ***** Analytics ******** ******* ** more ******** ** **-***** code, ***** *** ********* new ***** ** * platform **** ** ******** so ***** *** ** Vintra *** **** ***** brain ** **** **** might ** ***** *** be **** ** **********. IPVM **** *** * numerous ********* ******* *** case ******* ** **** site, ****** *** ****. ****, * ******* ***** should ***** * ***** app **** ***** ** once * ******** ** on ******* *** **** some **** ** ********* tracking ****** *******. *** customer **** ******** ******* and ****** ****** *** letting *** *** *** while ** *******, ******* even ****** **** ***** SPECIALS ***** ****** ** customers ****** **** ********* for ****, * ***** brush, ***** **** ** some ******* *****, ******* or **** * ****** for ********* **** **** in ***** **** *******(****** but ****). ***** *** analytics. **** ** ******* **, have * **** ******* and ***** ******* **** design. *'* *** ** play **** **** *********. * ** *** ** IPVM ******, *** * have ***** **** ***** programs. * ** *** certeficated ******. *** **’* true ** *** **** I ***’* ****** ****** IPVM ********** - **’* too ********* *** **. I **** **** **** reports *** **** *** they **** ********* ** to **** ** ******* on *******, ********* *** Hikvision. **** ** **** quotes **** *** ********. **** **** *** * numerous ********* ******* *** case ******* ** **** site, ****** *** ****. ******* ** **** ***** as *** ** *** largest *** **** ******** VMS ******* ** *** market, ******* **** ********* a ****** *** ** become * ******* ****** of ***** ***********. *** question, ******, ** *** much *** ******* ***** recently *** *** *** is ** *****, ********** in ***** ** *** major ****** ****** *** VMS ****** **** *** last * *****. ** this ****, ** ******* those ******* *** ***********. ******* ****** **********- ********** ******* ******** client ***** ****** ******* with *******, **** *** charts, *** ******** *********** time *** ***** *** fine ****** *******. This ******** *** *** *** ***** *** * ** **** ***** ***** ** ********* ** ** *** **** ** ***** * **** ********* ****** * ****** ***** **. ** ***** * ****** at **** ******* ***** normal *** *******. **, **. *********** #*, you **** ******* ** example *** **** ******* the ***** *** ** present ******** ** *** best *****. **** *********** position. *** ***’* *** to ******* **. **’* **** *********** ****. You *** **** *** information ***** *** ******** or ****** ** *** retail *****. *** *** easy ****** *** ****** using *** ** ** make *** ****** *** want. *** *** **** any ********* *********** ***** how ***** **** ****** visit, *** **** **** he ** ********. ** will **** ******** ** dollars *** ** **** be ***********. *** ******* 50% ** ** “*******” wear ******* ** **** they **** ***** **** and ****** *** ********** without **. *** *** trying ** **** ***** faces *** ******* **** in ******* ** ** three. **% *** ****** workers **% **** *********** persons, *% **** ** alcohol ******** *** *. *% - *****. *** ***’* ude *** *** **** recognition ******* *** **** their **** *** *****. And * *** ** “white” ********* ***** **** and *******. * **** *** ****** and ********** ******** - you ***’*. **’* **** hard ** ******* **** companies ** ***** ************* or ** ****** *** system. **** **** *** to ***** *****. *** may ***** *** ****** you ****. *** **** point: ** **** **** some ********* *********, *** adopt ** *** ****** company. ** *** **** you *** *** *** analythics ***. *** ****** **** to **** ***, *** waste *** *****. **** ****** **** **** only ** *** ****maniac ***** *** every day steals the same product. And after inventory and archive archive you can find him using face recognition. And the next day when he will apear in the Shopping Center the system will TRIGGER an ALARM! Bravo! **. *********** #* ***** you *** **** ********, I ***** **** *** I **** ***** *** to *****THE **** ********* *** *********** ** *** ***** ******** ******. You have hacked my example? What? The **** ***** **** *** **** ******* ** **** - *** * *** ** ****. It is the bloger lvl not an experienced engineer. SORRY. Your team have done a lot of the most in-depht independent reports. And that is your arguments? Now protect your point of view. Not in front of me. In front of all the people who works in the retail security, with retail security system and manages with the same problem. What you will tell those people who has build their system and have paid millions in Genetec and Milestone? Forget Genete and change the VMS to Vintra? Why the people are reading and watching you? Because they want to chose the best product. And they can rely on you. You are making your example using BriefCam, SONY, Boch. But we are talking about concrete companies. ***** * ** ****** a ***** ***. **** is **** ****** **** thoughts ***** **** ** the ****** **** ********* technology *** * *** agree *** ******** ***** are **** *** ********** video *********, **** **** Anyvision *** ***** **** to ****** ** ******** Tesla **** ***. ******** costs **** **** **** as *** ****** **** up *** ** ** everywhere ** *** **** future. ** *** **** today's **** *** *** shelf *********** *** *** already ** *** ***** path, ******* ** ******** companies, ******* ** **** design *** ********* *************** and ******** ** * forum ***** ***** *** many ******* **** ***** elevate * *********** ** increase *** ***** ** concept. ** *** ************** problem ** ****** ** hoodies *** ** * camera ***** ***** ** would ***, **** *** see ** **** *** get. *** ******* **** retail ** ******* *** honest ****** ******, * person ***** ** ** buy * ****** *** walks *** **** $*** dollars ** ******* ** his ****** ******* **** person **** *** **** vulnerability *** **. **** ** * *** case *** *** ** go ********: ****** *********** Centers. ******** ** *******, canopy *** ** **** face, ***** ********* ** exit, ****** ***** ** entry/exit, **** ********* ** a ******* ****** **** facility. ** **** ******, those ** ** **** locker ** **** ** your *** *** ***** it **, *** **** it ***** ** ** verified. ****** ****** ********** enter *** **** *** is ** ****? * will *** ******* ** deny, ******* ***** *** millions ** ******* ** inventory ** **** ** take **** **** *****. The *********** ****** ******** design **** *** **** the ****** **** ******** brick *** ****** ****** shop **** **** *** they ** **** ******. Active *********** *****, ******** and ******** *** **** of ******** ***** ******* on * ******* ********. ***** ******* ** ****** security, ******* *** **** to ** *** **** with **** *** ****. Good **** **** *** what **** ****** *** decide ** ** ****, keep ** **** **** my ****** ***** *** allows ** ** ****** to *** ****** *** deploy ***** ******* *** the *********** ******** *******. * ******* *** *** some **** ********, *** sound **** *** **** some. /****** - **#* ***. (PS, * **** * hoodie ***** * ***** out **** ********). :-) ***** *** *** your ******. *. * **** ******* my ***** ** ****** doctrine. *. * **** **** how ** ***** *** the **** ****** ******* system. *. ** *** *** you **** ********** *** my ******** ***** ******** is ** ** *********. ***** *** **** ****, it *** **** ***********. ** *** * **** lesson *** **. **'* true **** * *****'* heard ***** ****. * am **** ********. ***** you. *** **** ***** ******** in ******? ***** * ** ***** sure *** **** ************ in **** ****** ******* but **** *** ******* like *** *** ******* I ****** ***** *****. I ***** ******* ** disassemble **** ***** ** design, *********** ** ****** for ** * **** it ***** ******* ** break ****** **** ** find *** *********** ****. It ** *** ***** when *** *** ****** for ****** *** ******* when *** *** *********** people. ** *** **** to ***** ******** ***** researching ****** *** ** VHL ***, ******** ******* the *** ** ***** for *** ********* ** ambitious *** ** *******. The ****** ** ****** learned ** **-******** * problem ** *** ** problems, **** *** *** able ** ***** *** harvest *** *********** ** CTF *** *** ***** that ****** ** *** other *******, **** *****. ******* *** ********** **** not ***** ** ******* your ******* *****, *** it **** *** **** it **** *** *****, hence ** ******* *** just ********* * ********, making ****** **. ** you **** **** **** you *** *** **** yourself ***** **** * new ******** ** **** design, ******. ****** **. *** * am ****** *** ******* about ****** ***********. ******* I *** ****** ** point ** ****. ******* I *** ***** **. But ** *** ******* about ***** ************ ** general. * **** **** this *******. *** ****** ***** *** from *** *** ***** will ********* **** **** have ***** ******** ******* in *** ****-******* ******. How ** *** ******* this? **'* **** ** ***, that ** *** ** first **** ** ******* the ****** *** ***** my ******* ***** ****** environment. **'* **** ** say **** * ***'* know *** ** *** LinkedIn *** ********* ** Facebook. :). *** * like ** ****, **** if **'* *** **** well. **. ***'* **** a **********. ** *** one **** ********** ** ok, ** **** ******, who *** ********* *** track *** ********** ******. On *** ***** **** you **** ***** ************ system. *** **** ***** small *****? ** ****** if *** **** * small **** ** *** shop **** **** ** time **** **** **** bad ****. ** **** case *** ******* ******* the ****** ***** *** security ***** ** *** key ** *******. *** the ******* ** **** security ******. *** *** real ******* *** ** works ******* ***** *********. Usually. *** *** ******. **** **** ******** ******* et **** **** *** Deo. *.*. **. ********, ***** you. *** ****** ** very ****. **'* **** to *** **** * was ******* **** * will **** *** ******* here.It *** **** *********** for ** *** ********* I **** **** * new **** *** **** be **** *** **** be ***** ** ****** this **********. *** *****. * **** *** **** luck *** ***** *** very ****. "** ** *** ***** when *** *** ****** for ****** *** ******* when *** *** *********** people." *** *** ******* ********** about **** *** ** - *** * **** your *****. *** ***** *** ********** Threads *** ******* *******. ** *** ** *********** to ******* ****** ** what *** ******* ** know - *** *** language ******* **** ******* you ***... *** *** have ** ********** **** these ******** ** ************* exist *** *** *** overcome **** - ** telling ******** **** **** are **** *** **** dont *** **** *** purport ** ***. ***, **. *** ** a **** **** ************. *** **, * ****'* want ** **** ******** that **** *** ****. I ***** ** ******* my ***** ** **** of **** *******. ***. *** *** *****. It ** **** ** me ** ******* ******. It ** **** ** you ** ********** **. I ***'* *** *** do *******, **** * know **** ***** * problem. * ** ****** to ******* **. **** time * **** *** more ********* ** *** language *******. **** **** it **** ** ******.